It seems that in Europe, the debate over granting China the status of market economy (MES) is not hitting the spot. Semantics are often the cause of misunderstandings. Whether China has now become a market economy is irrelevant, because a market economy and compliance with the World Trade Organisation (WTO) agreement are two different things. The ongoing debate is about the interpretation of Paragraph 15 of China’s accession protocol to the WTO. This paragraph relate to the technicalities of investigating anti-dumping claims. Dumping is normally the result of state interference in economic operations, or of protection or lack of competition in the exporting countries’ markets which allows local producers to charge artificially high prices in their home market and subsequently use the profits from such activities to ‘subsidise’ exports at prices below real market costs. When China joined the WTO in 2001, it agreed to a 15-year transitional period during which other WTO members were allowed to use the ‘non-market economy methodology’ when investigating anti-dumping claims. Under this methodology, the trade officials of the European Commission are entitled to estimate by analogy the domestic production cost and prices of export products, instead of basing their investigation from the domestic market prices. The Chinese government argues that when the transitional period ends on 11 December, 2016, the trade officials from the Commission will no more be entitled to apply the ‘nonmarket economy methodology’. Conversely, some lawyers argue that until the other WTO members grant MES status to China in their national legislation, their anti-dumping investigators can continue to use the ‘nonmarket economy methodology’. That is, in a nutshell, what the whole MES debate is about. The interpretation of the WTO agreement could be tested in a dispute settlement procedure. But is this advisable? Let us not forget the political and symbolic dimensions of the debate. According to the Mission of China to the EU already 88 countries, including New Zealand, Australia, Peru, Chile and ASEAN countries, gave China early recognition of MES. Their choice was primarily dictated by political reasons, including the conclusion of free trade agreements (FTAs). To deny MES to China would be a rather strong political signal from the EU and may well cause the deterioration of the warming political relationship between the two economies. In the short term, there are concrete risks of retaliation from the Chinese side, causing EU economies serious pain and uncertainty on what will be the end result. It could threaten the positive outcome of the ongoing negotiations for the bilateral investment treaty and the potentiality to conclude a FTA between China and the EU – which according to Commission estimates could raise European prosperity by 250 billion EURO. 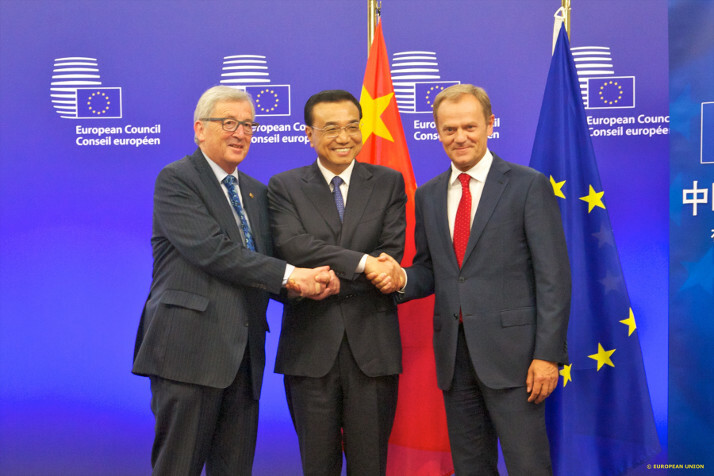 Moreover China is the first, and only, non EU country which has so far generously committed to invest in the Juncker Plan. Closing the door to China may thus have very negative effects. As the saying goes, the best way to win a dispute is to avoid it. A wise decision should be to adopt a forward looking political approach, whereby granting MES could be used by the European institutions to strengthen the bilateral dialogue with the Chinese authorities in support of the institutions’ endeavor to facilitate the business activities of EU companies in China. One of the main drivers of the MES debate is the fear of job losses in Europe’s less competitive manufacturing industries. It is time however, for the EU to reflect on why its ability to compete with other economies is getting worse in many sectors. One of the reasons. no doubt,lies in the burden of EU overregulation, which hampers overall industrial ability to innovate and invest. The EU could face negotiations in a stronger position when it comes to defend its industry and the jobs of European citizens: there would probably be fewer dumping disputes if European governments would proceed with the necessary structural reforms, and if market players could enjoy better competitiveness conditions. With China, what is is needed is more dialogue, not less. We need to find win-win solutions rather than to start a new fight. Today the key word is cooperation. History has demonstrated that dialogue and cooperation, not conflict, are able to overcome misundertandings and reduce distances. Europe must not to be afraid of China. Fear is a bad advisor. Let us not to allow fear to guide us. On the contrary, China and Europe should work together more closely in the future, and on the future. Cooperation with China on digital, 5G and Industry 4.0, or the fourth industrial revolution, will be crucial if we want to keep a competitive, strong and solid European industry.